Member verification through Sport Ngin Registration ensures athlete membership compliance, minimizing risk to governing bodies. Governing bodies believe it is the best way to not only make the process easy for their current membership, but also drives overall membership growth which is critical to the health of their business. 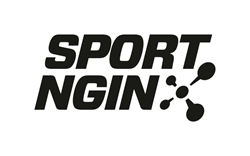 Sport Ngin announced today that it has completed over 1,000,000 athlete membership verifications through its registration service. Verifying active memberships ensures that athletes and teams are eligible for participation in sanctioned games, events, and tournaments. Additionally, having non-compliant athletes on the field of play creates risk to insurance programs offered through governing bodies. Membership verification, validated through Sport Ngin’s registration system, is the best way to solve these problems and mitigate risk. After completing the membership process with their governing body, athletes input their active membership number into the Sport Ngin online registration system utilized by the youth sports organization they are joining for the year. That membership is validated with the governing body and the athlete is able to complete the registration process. The process is fully integrated and completely eliminates the need to collect and validate memberships offline. Member verification process through Sport Ngin is currently available for several governing bodies including USA Hockey, AAU, U.S. Ski and Snowboarding Association (USSA), and others. The service can be set up for any governing body and Sport Ngin expects several others to provide these to their member organizations in 2016. Helping the world play smarter and live more, Sport Ngin is the leading provider of Sport Life Management web software and mobile applications for youth, amateur, and professional sports. Powering more than 500,000 sports teams, leagues, clubs, and associations, Sport Ngin features a complete suite of easy-to-use tools that help sports organizations manage, connect, and communicate with a diverse range of stakeholders, including athletes, parents, administrators, coaches, referees, scouts, volunteers, fans, journalists, and sponsors. Founded in 2008, Sport Ngin is based in Minneapolis, Minn. For more information, please visit http://www.sportngin.com; like the company on Facebook at http://www.facebook.com/SportNgin; or follow Sport Ngin on Twitter at http://www.twitter.com/@sportngin.